Traveling is an extraordinarily rewarding venture. It is often the reason we work at all—to enjoy a luxurious vacation, sleep in, sightsee, eat new food, meet new people, and make memories we’ll never forget. Exploring the world is a desire harnessed by many of us, so who wouldn’t want to make the most of their time away? It can be easy getting caught up in the details of requesting time off, finding the right flights and accommodations, and making sure there are enough things to do. You might not pay enough attention to maintaining your style abroad, which could leave you regretful once you’re there. To avoid that, here are a few ways to triple check that you’re prepared to look your best abroad. There is an art to packing, and if you don’t know what you’re doing you might be displeased when you arrive and open your suitcase. Linen can get wrinkled, hats can get bent out of shape, and shoes can even get broken if you do not take necessary precautions. Naturally, do your best to avoid folding fabric. The more it folds, the more wrinkles will appear once you unpack everything. Try to fold over your clothing once and fit other belongings between the garments to maximize on space and avoid needing to iron anything once you land. Wrap dense items, like shoes, to avoid damage. When you arrive at your hotel, Airbnb, or wherever you may be staying, unpack immediately. Hang up your clothes, pop out your hats, and assess any damage that may have been done in transit. Check to see if the place you’re staying in provides an iron and an ironing board if they are needed and contact the concierge to see about any local tailors or cobblers if you find that your belongings need repairing. If you need alterations, don’t be afraid to seek out your options. Whether you need a Tailor in Bangkok or a seamstress in Berlin, remember that no matter where you’re vacationing, there is an extremely high probability that you will be able to find the help you need, especially with the assistance of technology that we have today. What better way to experience the new places you’re in than to check out the local shopping? 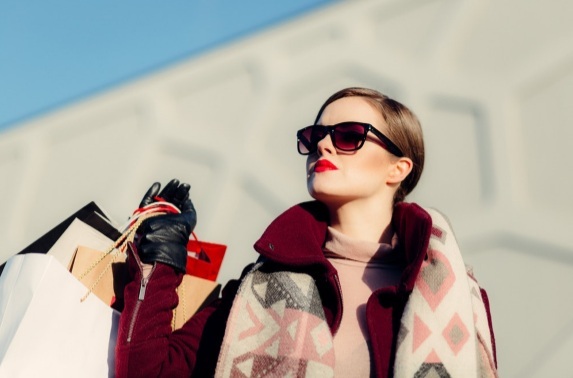 Shopping can be one of the most exciting parts about traveling, allowing you to delve further into the culture and environment of this new place you’re now in. Keep in mind how much you might bring back when you’re packing before the trip. Consider leaving some extra room! Dressing how you like on vacation is how to make the most out of your travels. Your sense of style is a way to express and feel good about yourself when in a foreign place. Especially with the amount of pictures we take these days, either for our own personal enjoyment or to upload on Instagram, the pressure to immortalize each thrilling moment of our lives has become stronger, as has our desire to rise to the occasion. Some people think that part of the traveling experience is not looking your best, but this never has to be the case. No matter how far you may be from home, there is no need to jeopardize your unique style or your sense of self, just because you’re going to spend the afternoon hiking in intense heat. You can make a statement in any garment. So, put yourself first, prioritize to show off a few of your best looks in a new place, and take lots of pictures! « WHY SHOULD YOU BUY A BALENCIAGA BAG?